OK, this is a long time coming. There has been much thought put into it. Should I or shouldn’t I say it? Yes, I’m going to do it. Are you ready? Drum roll please. I’ve decided to let the world see in writing that my husband was right . . . . . only on this one thing, mind you. A wife can’t admit to too much. The year was 1988 and the project was to replace the old picture window on the front of our home. You know the one Milwaukee is famous for, the 6’ x 4’ opening, with a single pane of glass that doesn’t open to let any air in. The glass that is usually foggy inside and just never looks right. You spend hours cleaning the glass and it’s still streaked when you’re done. The window you just hate to be around and going into the living room where it is makes you depressed. Yup, that sums up our front window. YIPPEE, my dream front window was installed and the fresh air was wonderful. My living room looked like it doubled in space and we all took turns sitting in it to watch tv. As the days turned in weeks and the weeks turned into months, however, my unhappiness with my bow window got to be greater and greater. I wanted the large picture window center to look out!! After about 18 months, I couldn’t hide my disappointment any longer. I began dropping hints that maybe Ben would like to have his bay window after all. Maybe a bay window would be nicer to see out of. One day I just blurted out, “Maybe we should change our bow window to a bay window.” It was the first time in a long time that he didn’t say a word, but just stared at me. When my new bay window was installed, I was thrilled. Now two or three people can sit in it to watch TV. I can fill it with more decorations. It sticks out farther from the house and my room feels triple the size. I made the right decision to change the bow window into a bay window! Now I have three of them on my home – two in the living room and one in the kitchen. I have a beautiful view into the back yard when I stand at the kitchen sink. Ben often tells the story that he wanted the bay window first and eventually I saw things his way and realized he was right. I often tell the story of how I simply changed my mind. My husband loves to tell the story that I never think he’s right. I often tell the story of how it took me two times to be sure of what I wanted. You know how these husband and wife conversations go. Admit that a husband was right – NO!!! 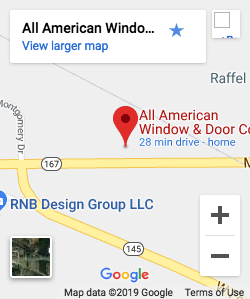 My husband has been generous through the years and given me what I want – bow window, new bay window, new siding, new window trim color, and lots of new shoes. The least I can do after all these years is to finally say it. “Ben, you were right. We should have put the bay window in first!” I’m sure after thirty-five years of marriage, he’s been right about other things – I just can’t remember any of them right now. Bay vs Bow like husband vs wife very nice example to explain the difference between both. I would like to appreciate your experience. The way in that you explained your article is really great. 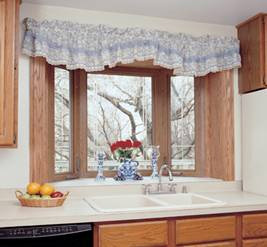 If you want to more space in your small room then you really should install bay and bow window in your home. The difference between bay and bow window is that a bay window has 3 opening in angled projection and a bow window has 4 or 5 openings.